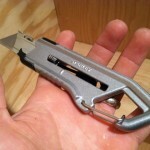 The Senco FinishPro 30XP is small and light. 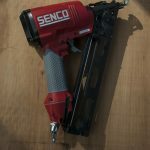 The magnesium frame on the Senco FinishPro 30XP makes it one of the lightest 15 gauge nailers on the market weighing in at a little under 4 lbs, it is also quite small only 12 inches long. The short body makes the balance on this gun very good and makes it feel even lighter than it is. 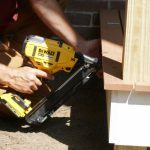 The light weight comes at a trade off, this is a no-frills nailer with a 2-inch fastener limit. This gun is light on features. But it has the most important ones like tool-less depth of drive adjustment, belt hook, tool-less jam clearing, are pretty standard on 15 gauge guns these days. This one of those guns that doesn’t have anything you don’t need. 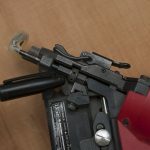 There are a ton of guns out there that have a bunch of features that most carpenters never use. I really appreciate the simplicity. 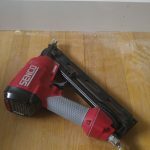 I used this gun on the finishing touches of a master suite remodel. 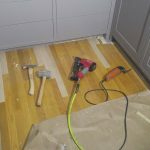 This involved putting in baseboard, casing, installing cabinets, and patching strip oak flooring. 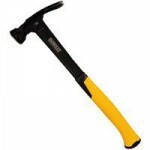 I found that the small size and weight are great, especially for overhead work and in tight quarters like closets. The big trade off is the limited fastener range. I did find the 2-inch limit reassuring when putting baseboard in around pocket doors. 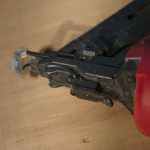 Another carpenter on site even mentioned picking one of these up just to have as a second gun for shorter fasteners on jobs where they are required. As a lefty I appreciated that the belt hook is easily reversible with an allen key. 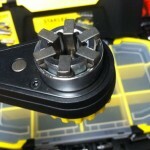 There is no grip on the depth of drive adjuster just a threaded steel wheel, so it is a little hard to operate. Also when adjusting to a shallower depth of drive there is no stop on the adjuster. So you can accidentally remove the nose of the gun if you’re not careful. While the gun did not jamb I did find that the nose of the gun opens up easily to clear jams and reset the driver blade. 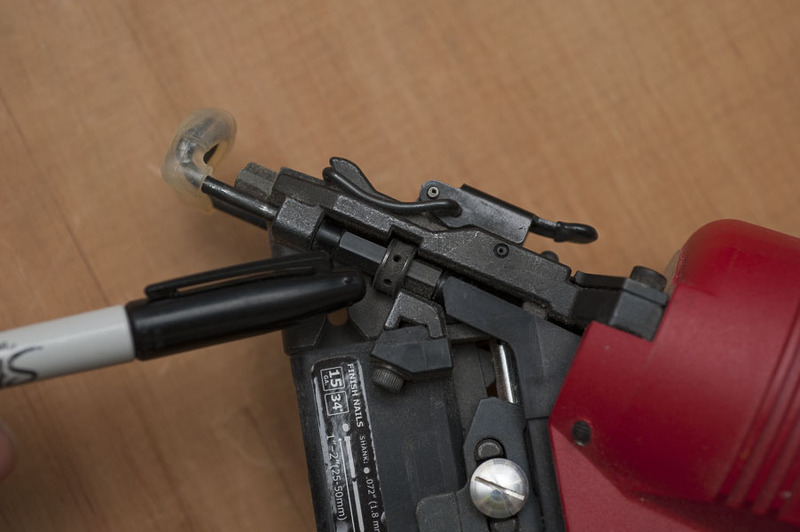 This is the usual flip-up nose with a quick release lever that is pretty common on most trim guns. The no-frills nature of this gun mean that there are fewer things to go wrong. Less to go wrong is always a good thing. Also most parts and components are made of steel or aluminium there is very little plastic on this gun and where there is was put in places where in the event of a drop if metal was used it would be more prone to breaking critical parts of the gun. For example the belt hook is plastic if it was metal and broke it would likely break part of the main housing of the gun. The magazine appears to be plastic, again a metal part here could break the main frame/housing in a fall. In short I think this gun was designed with durability in mind and should hold up for the long haul. Personally I find the 2″ fastener limit to be too limiting. 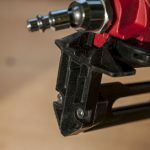 I frequently use 2-1/2″ 15g fasteners for door jambs, casing, baseboard, skirt boards, risers, and any time 3/4″ thick or greater trim is being applied over shims or drywall. 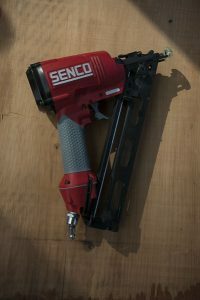 That said if you are looking a light-weight, no-frills nailer and your work calls for 2 inch maximum nails then the Senco FinishPro 30XP might be your ideal trim gun.